It's never too early to teach your little ones about God. 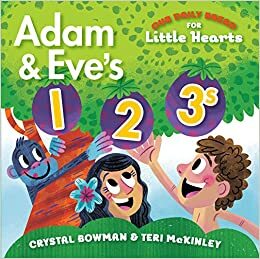 Through colorful images and rhyming verse, Our Daily Bread for Little Hearts: Adam & Eve's 1-2-3s offers you a fun and exciting way to engage your children. You'll enjoy an exciting adventure through the Garden of Eden to explore God's amazing creation. This durable little book encourages toddlers to touch the pages and count twelve wonderful things God made.